Note:A voice of sanity in Okhla, Anant Trivedi is the President Ishwar Nagar Residents Welfare Association and a senior member of Okhla Anti-Incineration Committee. He is a chartered engineer. In an article From waste to worse, possibly, he reveals the many faces of environmental lawlessness in Okhla, South Delhi. ToxicsWatch Alliance (TWA) has benefited from his valuable suggestions for Delhi's anti-incinerator campaign. TWA looks forward to his sagely advice in the matter of proposed waste to energy incinerators in Gazipur and Narela-Bawana besides the OP Jindal's hazardous incinerator plant in the vicinity of residential areas. Jindal Ecopolis (Timarpur-Okhla Municipal Solid Waste Management Company Pvt. Ltd, 100 % subsidiary of O P Jindal Group’s Jindal ITF Urban Infrastructure Ltd.) has been awarded a 25 year long concession by New Delhi Municipal Corporation (NDMC) and Municipal Corporation of Delhi (MCD) for setting up of a Dioxins emitting and toxic garbage burning project. As part of the concession, NDMC and MCD will provide solid municipal waste the project in thickly populated Okhla region. 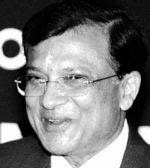 Allard M Nooy, CEO of Jindal Ecopolis, infrastructure arm of Jindal SAW Ltd (owned by Prithviraj Jindal, one of the four sons of late OP Jindal, the industrialist politician) has failed to provide technical details of the plant to the Central Pollution Control Board (CPCB) despite repeated reminders. CPCB's report is keenly awaited. Allard Nooy is Chief Executive Officer Jindal Water Infrastructure Ltd (Jindal Aquasource Ltd) and Jindal Urban Infrastructure Ltd. Both companies are part of the OP Jindal Group, a US$ 15 billion conglomerate and appear to be referred together as Jindal Ecopolis. ONE OF THE WORLD’S BIGGEST INCINERATORS IS TO COME UP IN SOUTH DELHI TO GENERATE ENERGY FROM WASTE. BUT WILL IT POLLUTE PROFUSELY INSTEAD? WHEN ENVIRONMENT minister Jairam Ramesh met angry citizens some weeks ago at the site of the proposed Waste-to-Energy plant in Okhla, south Delhi, he mentioned there had been no public consultation of the project and that the Central Pollution Control Board (CPCB) had not been approached for the technology clearance. The plant is estimated to cost Rs 200 crore and is meant to convert about 2,000 tonnes of waste in Delhi to 16 MW power a day. It is among the world’s largest incinerators that deals with everyday waste. Then, at a meeting with residents of the area on April 3, Ramesh initiated a technical review committee consisting of IIT experts, persons from Europe with experience of waste incineration projects, and nominees of the community living around the project. Ramesh said the review would take as much time as necessary to vet all aspects of the proposed technology, and the plant would not be given operational clearance until all shortfalls are addressed to the satisfaction of the CPCB as well as the resident’s nominees. Three weeks later, on April 26, a meeting was called of various experts at the CPCB head office. After a hearty meal, the programme started with Jindal Ecopolis (JE), the promoter who was given time to explain their proposal. JE made a glossy presentation with no technology details. This was from a firm who repeatedly said they had all clearances to implement the Okhla plant, which is a Public Private Partnership (PPP) project of the Delhi government. They said they were only the implementers, in other words they were there merely to provide an overview of the proposal and not to seek technology clearance. Thus, JE is confident of the Delhi governments’ support in pushing this project through and does not recognise the authority vested by law in the CPCB. This raises an interesting question. What is the role of the environment ministry? Is it to okay proposals by big industrialists with friendly politicians? Or is it to carry out its duties as mandated by Indian law? Ramesh has stated that he is under pressure to clear projects that have gone some distance. Does this mean he has to overlook potential violation of environmental laws? There is also another question. The Delhi government has been moving polluting industries out of Delhi, some of them micro, and displacing employees. Yet, it is determined to get a highly polluting waste plant in the midst of a thickly populated area. They have also said the land allocated to this plant is designated as a municipal solid waste landfill site in the Master Plan 2021. This is not correct. In a recent proposal submitted by the Timarpur Okhla Waste Management Company Limited to the environment ministry to increase capacity from 16 MW to 20.9 MW, the land has been described as ‘industrial’. Therefore, these may be attempts to mislead the ministry and the general public that the land is appropriate for such activities. If this project is authorised for Delhi, it could become a great carbon credit model for most towns in India. AROUND THE Okhla plant, the dominant community is Muslim and they are mostly struggling to keep body and soul together. They do not have time even to go and argue with elected representatives. They cannot afford healthcare if they fall ill from the squalor they exist in. The elected MLA for the area is Asif Mohammad Khan. He is an aggressive supporter of every cause that helps him win the support of the community. He is forever telling the community that he is with them all the way and would make sure no harm comes their way. People believe him when he says this. Interestingly, Asif helped lay the foundation stone to the waste plant and recently inaugurated the construction of a road to the factory. So, on the one hand he is making false promises to the community and raising their hopes that he will protect them, and on the other hand he makes sure the Congress coalition does not get upset with him. There are enough signs that the residents of Batla House, Zakir Nagar, Haji colony and other localities in the area realise that today’s politicians cannot be trusted. If our politicians are not working for us, we have to enforce accountability. We must demand to see a monthly account of how our money is being spent, and how the promises made during election time are being delivered on. Some fault therefore lies with those who cast their votes in hope and wait the next five years for their elected leaders to deliver on promises. In the process, the people are mostly the losers while politicians and their coteries seem to progress. Therefore, the community might need to be firm and refuse to let glib politicians work in the area until they deliver on what they promised. While there is overwhelming evidence that plants of this type produce toxic gases, residues and particles that can be breathed in, the Okhla plant is being set up barely hundred metres away from the nearest established residences. Yet, the Delhi government, the Delhi Pollution Control Committee and the project developer have been saying that implementation of this project would not cause any negative impact to people living around the site. The project proponents have never projected or shown the total quantity of various pollutants that would come out from this project. Perhaps this is an attempt to avoid opposition from the people and to get various environmental clearances. The Okhla plant will emit huge hazards into the atmosphere and nothing that the promoters of the plant or Delhi’s political leadership say would save us from this. If we believe the project developer, no pollutants would be released from this plant. They only talk about foul smell and structural design but they don’t mention or acknowledge the serious pollutants that any such waste incinerator would emit. But a noted expert, Professor Paul Connett, PhD, Professor Emeritus of Environmental Chemistry, St. Lawrence University, New York and Director of the American Environmental Health Studies Project, has different views. He said as recently as February 4, 2011, “To state that a 2,000-tonne per day incinerator will not put out any pollution defies both the laws of physics and the laws of common sense.” Municipal waste incinerators not only pose inherent and unavoidable hazards to public safety, especially for those living close to such facilities but evidence from around the world is strong that they are often run badly. The situation is made worse by weak regulators with little appetite for enforcing public safety. Furthermore, there is no such modern technology available or under development that can eliminate all toxic pollutants generated during a combustion process. The only way appears to be for the community to wake up, unite and collectively take on the government.